Governor Charlie Baker jumped deep into the contentious debate over the state’s school funding formula Wednesday, unveiling a legislative package that would boost what the state and municipalities spend on K-12 education by more than $1 billion, with much of the new aid aimed at poorer, urban schools that have fallen behind their better-off neighbors. 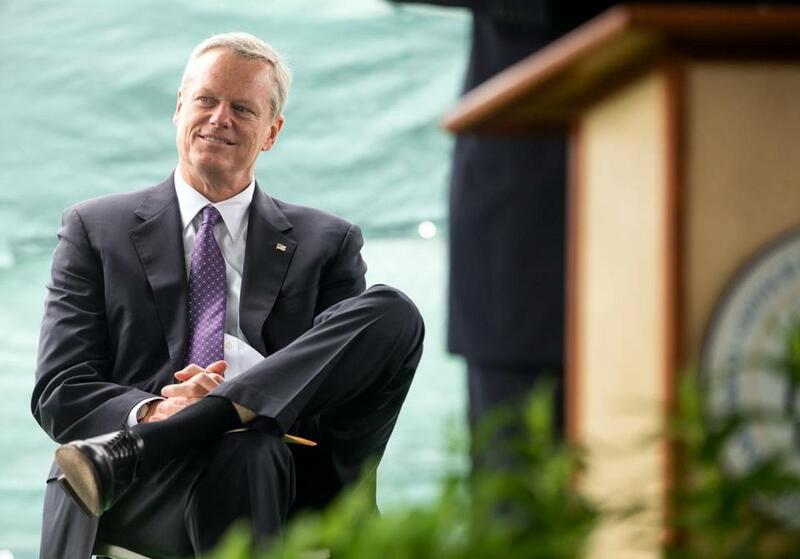 Baker paired the release of the closely watched education proposal with his $42.7 billion state budget plan. His plan for next fiscal year also features several tax proposals that, together, could generate hundreds of millions of dollars in new revenue for the state while boosting the cost of e-cigarettes, home sales, and potentially, opioid prescriptions. Baker’s revamped education formula seeks to deliver the bulk of new funding to the neediest students and schools, part of an effort to address the performance gap seen between poorer districts and richer suburban counterparts. The proposal, however, drew a mixture of muted praise and criticism from advocates, who charged that Baker’s plan is not spending enough money or doing it quickly enough. 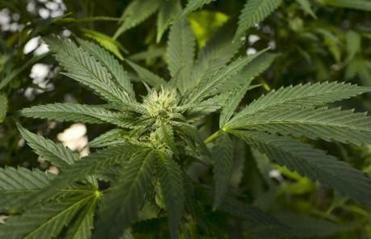 The proposed changes were recommended by a panel of lawyers and law enforcement, but some were opposed by civil liberties advocates. Under Baker’s proposal, the state’s contribution to school funding would increase by more than $200 million in fiscal 2020. More than 85 percent of that new money would go to so-called “high need districts,” where at least 50 percent of the students are considered low-income. There are 154 such districts out of 318 total in the state. The governor’s legislative proposal would boost the foundation budget — a formula that calculates the minimum cost to provide an adequate education for students — by $1.1 billion at the end of a seven-year phase-in period. That $1.1 billion includes the contributions municipalities must make to their schools. Thus, Baker’s proposal would mean at least some cities and towns — particularly the less affluent ones — would need to find more revenue to direct toward schools. Richer districts already spend above the minimum set by the foundation budget. James Peyser, Baker’s education secretary, said the state’s share has historically been about 45 percent of the overall foundation budget statewide. When fully implemented, the poorest districts would see funding targets increase by more than $600 per student — and even more when districts have high numbers of students learning English. Baker and other administration officials said their proposal would fully implement the recommendations made by a 2015 legislative commission that found the foundation budget has been underestimating the cost of schooling by hundreds of millions of dollars. The increased state aid would not require new revenue, Baker said. “A lot of the work that we’ve done over the course of the past four years to get our budget under control will create the room that we’ll need to fund this,” he said. But the Massachusetts Teachers Association, the state’s largest teacher’s union, called Baker’s proposal just “a small step in the right direction” and called for lawmakers to provide more state funding more quickly by adopting a bill introduced by state Senator Sonia Chang-Díaz and Representative Aaron Vega. The group also blasted provisions in the bill that would give more power to the state’s commissioner of elementary and secondary education to intervene with chronically underperforming schools. Baker’s proposal would enable the commissioner to withhold state aid earmarked for administrative needs if the state finds the district isn’t making enough progress at an underperforming school. The bill “gives the state new weapons to force districts to implement changes against the wishes of the community,” said MTA vice president Max Page in a statement. The reaction to Baker’s plan inside the State House ran the spectrum. Senate President Karen E. Spilka said she was “encouraged” that Baker tackled several issues on her to-do list — without directly opining on the details — while a coalition of advocates and lawmakers, including Chang-Díaz and Vega, quickly panned the education plan in a joint statement. The legislation proposed by Chang-Diaz does not have a firm price tag attached to it yet. But she estimates it could cost between $900 million to $2 billion and take between four to seven years to fully implement. Despite the critiques, Baker’s comprehensive proposal — representing the first time he has waded into this complex and politically fraught topic — is another push that could propel a deal over the finish line. Baker said he would like to be able to sign an education overhaul measure into law by the end of this year’s budget process, which usually stretches into the summer after the House and Senate make their own budget proposals. “I think it’s important that we get it done this year,” he said. Beyond school funding, Baker, who once campaigned on not raising taxes or fees, also baked several tax initiatives into his spending plan. He wants to extend the state’s excise tax to e-cigarettes, which he estimates can generate $6 million, and he proposed making online marketplaces, such as eBay and Etsy, collect and remit sales taxes on their vendors, producing another $42 million in new revenue. He also wants to accelerate how the state collects sales tax on its largest vendors, which his administration said will generate about $306 million in one-time revenue. Baker spoke most forcefully on targeting drug manufacturers with a 15 percent levy on gross receipts of opioid sales in Massachusetts. The tax would not apply to medication-assisted treatment or revenues on drugs used in inpatient settings. Baker said he couldn’t speak to whether the $14 million in new taxes could ultimately be passed on to those buying prescriptions, but he framed it as a way to make companies cover some of the costs of an epidemic he said they helped create. “Creating the mechanism in which they put something in to help pay for the carnage they’ve created I think is important,” Baker said. His administration last week had unveiled a plan to raise the tax on most real estate transfers by 50 percent, and funnel the new cash — which could hit $150 million annually — into a fund cities and towns could tap to help pay for climate change resiliency projects. The proposal has already faced stiff resistance from real estate groups. Baker said he’s open to discussion “around what the right way to do this is,” but he stressed the need to fund climate preparedness. “It would be a dreadful mistake for us to stick our heads in the sand,” he said. Priyanka Dayal McClusky of the Globe staff contributed to this story. Reach Matt Stout at matt.stout@globe.com. Reach Victoria McGrane at victoria.mcgrane@globe.com.